You've fragged a neeps jobs at Valhalla's hippest meadhall. Only trouble is you don't parle Old Norse. Blag the lingo quickhaste to keep your customers happy. No need to download. 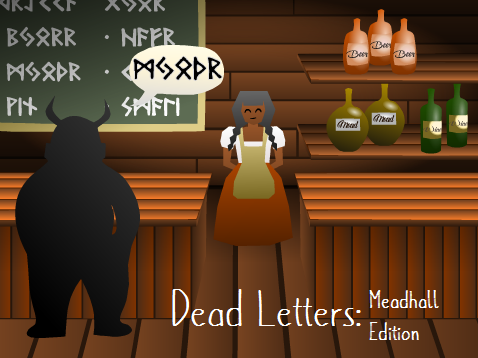 Play in browser here: Dead Letters - Fullscreen. If you do want to download, you will first need Scratch Offline Editor.